Quick update for Ubuntu / Linux Mint users: our PPAs were updated today with the latest Tor Browser Bundle 3.5 and Sublime Text 3 beta build 3059. 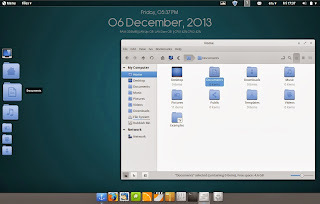 Fedora 20 "Heisenbug" has been released, featuring the latest stable GNOME 3.10 along with other interesting changes. 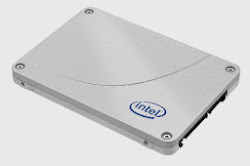 SSDs are finally trimmed out of the box starting with Ubuntu 14.04 LTS Trusty Tahr. 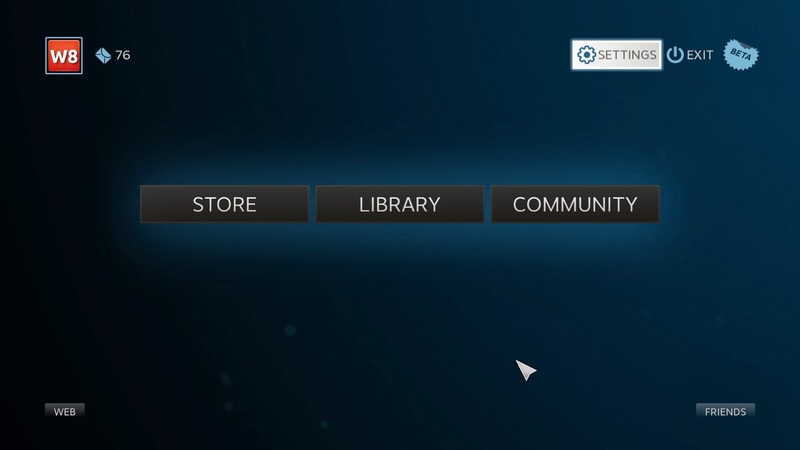 Valve released SteamOS Beta a few days ago as an early first-look public release. 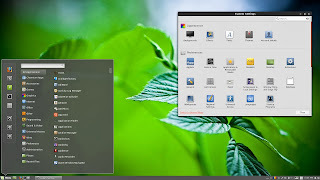 Based on Debian 7, the new operating system comes with a session called SteamOS which is a modified Big Picture mode that uses a custom SteamOS Compositor (based on xcompmgr) optimized for Steam and gaming, and some other tweaks. If you want to run the official SteamOS session along with the custom SteamOS compositor in Ubuntu, you can easily do so by installing two packages. Once you install these packages, you'll be able to directly log in to the SteamOS session from the LightDM login screen. `Image Tools` is a handy extension for Nautilus or Nemo created by Lorenzo @ atareao.es, that lets you manipulate images from the Nautilus or Nemo context menu. apply effects such as: black and white, blur, border, contour, greyscale, negative, shadow, vintage or watermark. 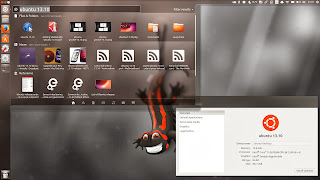 A couple of days ago I was telling you about the possibility of Canonical forking GNOME Control Center and GNOME Settings Daemon for Ubuntu 14.04 Trusty Tahr. Well, this was confirmed by Robert Ancell, Technical Lead at Canonical, on the Ubuntu Desktop mailing list. ownCloud, a free software alternative to proprietary web services such as Dropbox, Google Drive and others that you can install on your own server, has reached version 6. 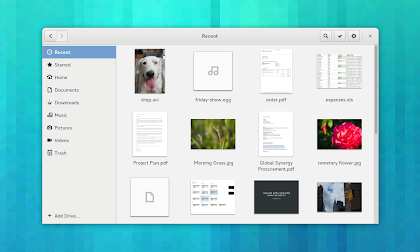 Allan Day, UX Designer at Red Hat and GNOME contributor, posted an updated set of designs for the GNOME Files app, which he calls Nautilus Next. the lists have thumbnails and separators between rows to aid readability. More work to properly support Nvidia Optimus landed in Ubuntu 14.04 Trusty Tahr. Despite Sebastien Bacher's (software engineer at Canonical) initial proposal to stay on GTK 3.8 for Ubuntu 14.04 LTS, GTK 3.10 landed in the Ubuntu 14.04 Trusty Tahr proposed repositories. 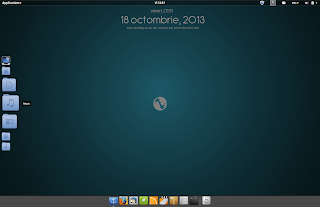 Pinguy OS 13.10 (based on Ubuntu 13.10) has been released with GNOME 3.10 by default, along with some new tweaks. Pinguy OS is a remastered Ubuntu with a lot of useful default applications - great for those who don't like to do a lot of tweaking and want an OS that "just works". This is the final 13.10 release but it's called beta because only LTS releases are considered stable. 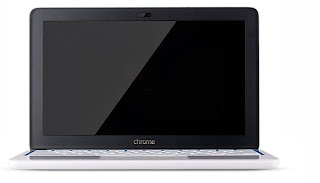 Yesterday I wrote about installing Ubuntu on your Chromebook using Crouton. However, Crouton only installs a few apps so here's what you should install on your new Ubuntu installation running on top of Chrome OS and a few thing that you may want to fix, like the brightness and volume keys or how to get Ubuntu Software Center to work. 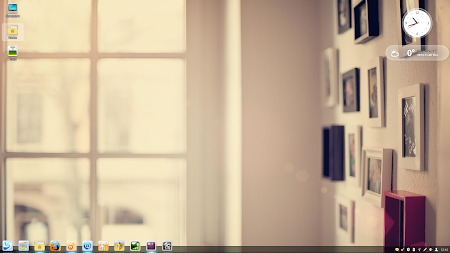 Note: Below I'll only cover Unity and Xfce but there are some generic tips as well. TeamViewer, the popular software for remote support and online meetings, has reached version 9, receiving Wake-onLAN support, notifications for Computers & Contacts and more. Starting today, both Oracle Java 7 and Java 8 (JDK) installers available in the WebUpd8 Java PPA support ARM. 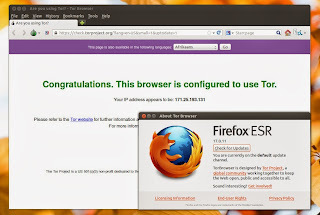 Tor Browser Bundle is a web browser based on Firefox ESR (Firefox with extended support), configured to protect users' privacy and anonymity by using Tor and Vidalia, tools that come bundled with it. The bundle also includes 4 Firefox extensions: TorButton, TorLauncher, NoScript and HTTPS-Everywhere. 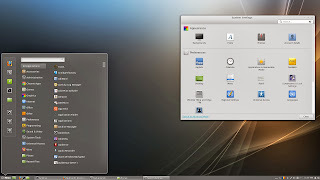 Linux Mint 16 "Petra", based on Ubuntu 13.10, was released recently and is available as usual in two editions: MATE and Cinnamon. Let's take a look at what's new. Linux Deepin 2013 has been released with various improvements and enhancements as well as two new applications: Deepin Terminal and Deepin Game Center. Quick update for Steam users: Valve has launched the "Steam Autumn Sale" and many games available for Linux (not only, obviously) can be purchased with discounts of up to 80% or maybe even more, depending on the upcoming daily deals and flash sales. After a recent update in Ubuntu 14.04 Trusty Tahr, it's possible to whitelist or blacklist individual applications from using the Ubuntu AppMenu (global menu). Enabling the proposed repository in Ubuntu is usually not a good idea because it's a testing area for updates so things can break. If you've enabled the proposed repository and something broke, here's how to revert the changes by downgrading the packages installed from the proposed repository. 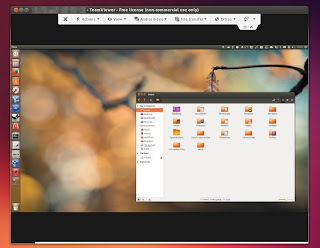 In an Ubuntu Developer Summit session today, Matthieu James (Graphic/Visual Designer at Canonical) presented the design guidelines as well as some of the work done to create a new icon theme for Ubuntu (both desktop and touch). 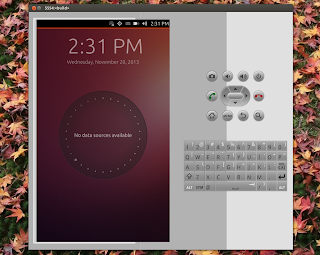 The Ubuntu developers have released an experimental Ubuntu Touch emulator running Unity 8 and Mir. 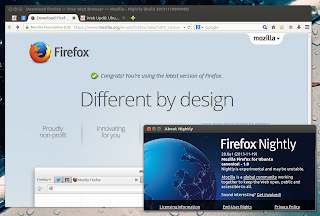 Australis, a new Firefox user interface, has finally landed in Firefox Nightly. A new Virtual Ubuntu Developer Summit (uds-1311) will start next week and some interesting changes will be discussed, such as enabling TRIM for SSDs by default, supporting touch apps on Ubuntu desktop and more. 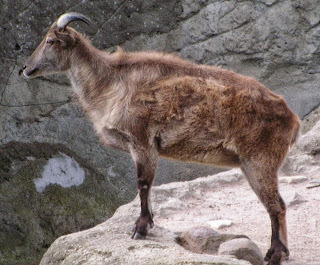 Below you'll find some of the changes proposed for the upcoming Ubuntu 14.04 LTS (Trusty Tahr) as well as some other interesting UDS tracks. Genymotion 2.0 has been released with Android 4.3 support as well as new features such as drag&drop to copy files and APKs to the virtual device. 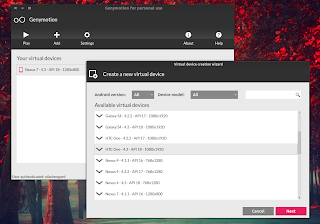 Genymotion is a fast, cross-platform Android emulator that comes with pre-configured Android (x86 with OpenGL hardware acceleration) images. The emulator features Ethernet support, multi-touch gestures, emulation widgets for GPS, battery, camera and more. A quick update for Ubuntu 13.10 users: the latest Cinnamon from the stable PPA no longer breaks Unity so it's safe to install it in Ubuntu 13.10 (Saucy Salamander). The application was originally created by Adobe, but is now maintained by the community. 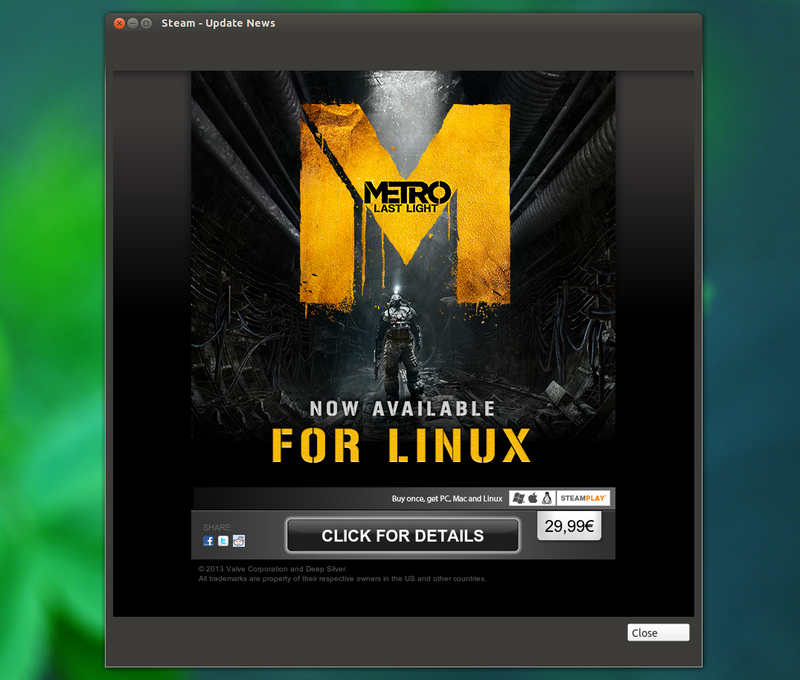 Metro: Last Light, a popular single-player first-person survival horror video game, is available for Linux, through Steam. 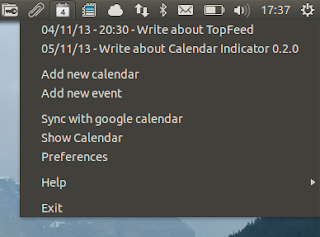 Calendar Indicator, an Ubuntu AppIndicator for Google Calendar, was updated to version 0.2.0, receiving some important bug fixes, including a fix for the calendar events not showing up in the indicator menu under Ubuntu 13.10 Saucy Salamander. TopFeed is a new smart feed widget that lets you stay up to date with your favorite websites by displaying the latest news on your Ubuntu desktop. Update: for Nemo 3.x, available for Ubuntu 16.04 and 16.10, there's a new PPA. See THIS article for more info. Nemo, the default Cinnamon file manager, needs Cinnamon to be installed, even if you want to use it in some other desktop environment such as GNOME/Unity. That's not the only issue that makes using the latest Nemo under Unity difficult - Cinnamon 2.0 breaks Unity in Ubuntu 13.10, Nemo no longer draws the desktop icons and so on. Update: the PPA now provides Nemo 2.8.7 for Ubuntu 16.04, 15.10, 15.04 and 14.04. I wanted to use the latest Nemo under Unity, but without Cinnamon dependencies so I used the Nautilus Unity patches modified for Nemo by Jacob Zimmermann, which I updated to work with the latest Nemo, and I also added some extra patches to remove the Cinnamon dependencies (except for cinnamon-translations but that shouldn't be an issue), re-enable Nemo to handle the desktop icons and allow Nemo to use GNOME Control Center / Unity Control Center to change the desktop background or set a picture as wallpaper via context menu. 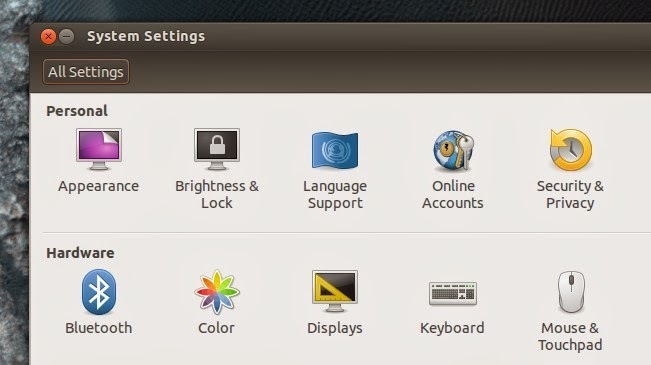 In Ubuntu 13.10, there's no Nautilus integration for Ubuntu One because the package containing the Nautilus extension was removed. 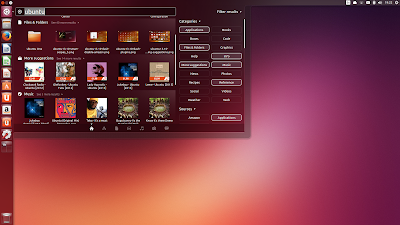 Some of that functionality is integrated with the Sync Menu, but not all: currently, there is no way of knowing if a file is currently in sync with Ubuntu One. 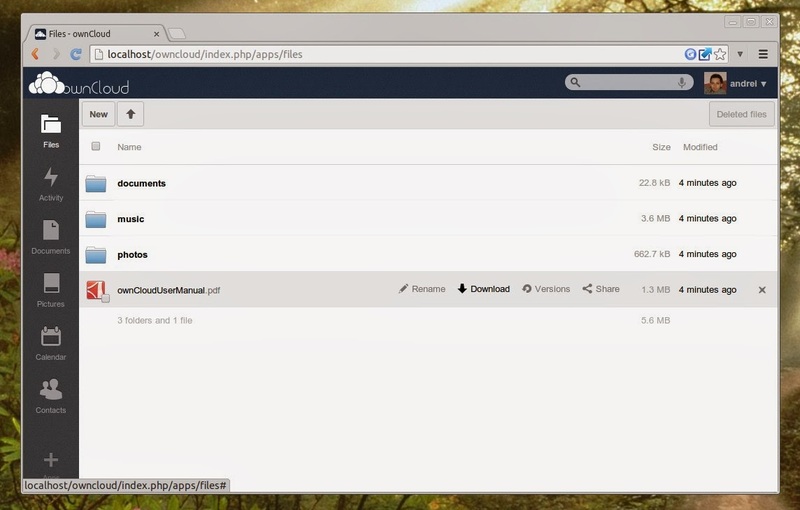 Also, some users might prefer to right click a file in Nautilus to share it / get a share link, instead of opening the main Ubuntu One interface. Read on to find out how to get this back in Ubuntu 13.10. 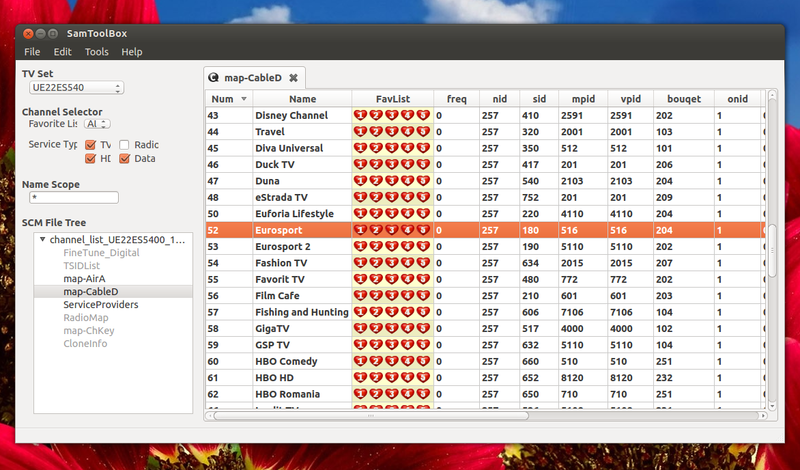 I recently needed a tool to edit a Samsung TV channel list and I've tried a few tools but all were pretty buggy. I ended up using an application called SamToolBox which, even though it is a bit buggy and not very intuitive, gets the job done. 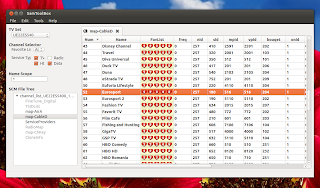 SamToolBox is available for Linux and Windows and it should work with all Samsung TVs that support extracting the channel list. Thorsten Stettin has created a new PPA for Ubuntu / Linux Mint users who want to use the latest GIMP 2.9 development builds. There won't be a GIMP 2.9 stable release - 2.9 is used for development and will result in the next stable GIMP version, 2.10. I've uploaded the unofficial system-wide PulseAudio equalizer to main WebUpd8 PPA for Ubuntu 14.04 Trusty Tahr. Update: the equalizer was updated to support Ubuntu 16.10. The PPA now supports Ubuntu 16.10, 16.04, 15.10, 15.04, 14.04 and 12.04, as well as Linux Mint 18 and 17. The package update comes with a fix for a crash that occurred when no presets were found. The issue that caused audio to be muted as soon as PulseAudio Equalizer was enabled, disabled, or adjusted, was also fixed. 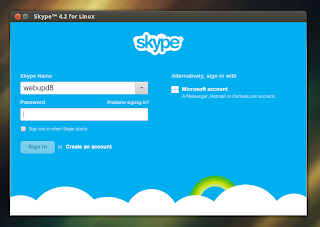 Ubuntu 13.10 (and derivatives) users: if you're using Skype downloaded from its official website and not from the Ubuntu repositories, chances are the sound in Skype is either distorted or there's no sound at all. The first development release of Parole Media Player 0.6 (version 0.5.90) was released recently, bringing changes such as: improved GStreamer 1.0 support, completed the port to GTK3, a nice new overlay for the playback controls and more. 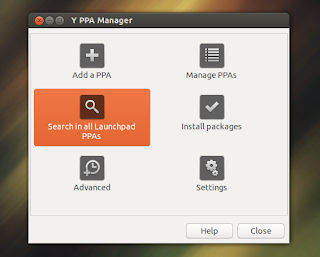 Today I've released Y PPA Mangager 0.9.9.1 which brings bug fixes for the latest Ubuntu 13.10 as well as some changes on how the tool works. The Sound Indicator doesn't work by default in Xubuntu 13.10 but there is a quick work-around you can apply to get it to work. Pinguy OS 13.10 alpha, an Ubuntu remaster that ships with many popular applications and tweaks, is available for testing. 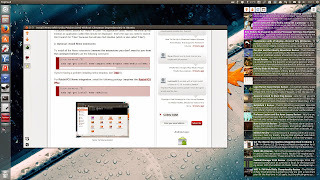 Ubuntu 13.10 was released today and for those of you who plan on doing a clean install, here are 8 useful things to do after the installation. Kubuntu, Xubuntu, Lubuntu and Ubuntu GNOME reached version 13.10. Let's take a quick look at what's new! Ubuntu 13.10 was released today and while there aren't as many new features as in the previous releases, there are some interesting changes. 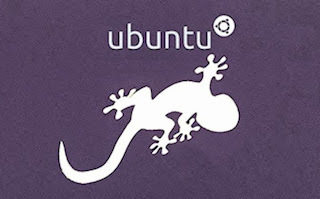 Read on to see what's new in Ubuntu 13.10 (Saucy Salamander)! qBittorrent is a cross-platform BitTorrent client that aims to provide a free software alternative to uTorrent. The application comes with an integrated search engine, web interface, sequential download support, bandwidth scheduler, advanced RSS support with download filters, torrent creation tool, IP filtering and other useful features. In Ubuntu 13.10 (Saucy Salamander), it seems that the libturbojpeg .so filename has changed from libturbojpeg.so to libturbojpeg.so.0 and this breaks Bumblebee. Below you'll find a quick fix for this issue. 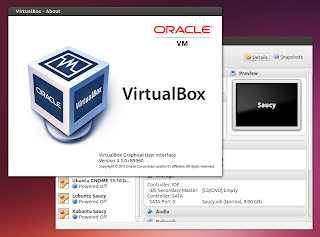 Oracle released VirtualBox 4.3 today with some exiting new features such a new virtual multi-touch USB interface to support touch-based operating systems, video capturing support and more. 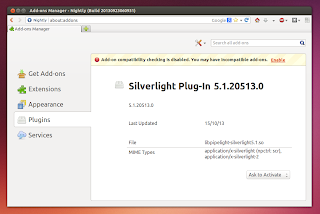 Pipelight, a project that allows you to install Silverlight to any Linux browser that supports the Netscape Plugin API (Firefox, Chrome, Midori), has been updated today, receiving multi-plugin support. 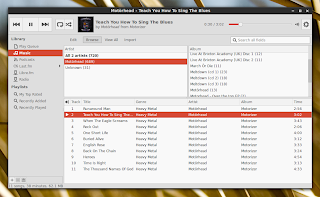 Rhythmbox 3.0 was released more than a month ago, bringing an improved user interface, Python 3 support for the plugins and more. Unfortunately, the new version didn't make it into Ubuntu 13.10, but there's a PPA you can use to install it (also available for Ubuntu 13.04). Cinnamon 2.0 has been released today featuring many bug fixes as well as some new features. 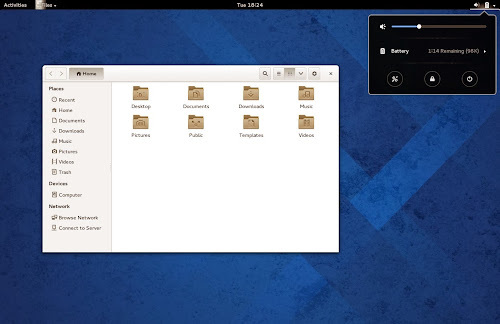 According to the release announcement, with version 2.0, Cinnamon is no longer a frontend ontop of the GNOME desktop like Unity or GNOME Shell, but "an entire desktop environment". Cinnamon is still built on GNOME technologies and uses GTK, but "it no longer requires GNOME itself to be installed" because it now communicates with its own backend services, libraries and daemons. 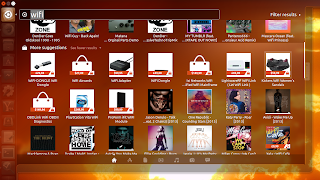 In Ubuntu 13.04, if you want to get online search results in Dash without shopping suggestions, you can simply remove the Unity Shopping lens. In Ubuntu 13.10 (Saucy Salamander) and 14.04 (Trusty Tahr) you can't remove the Shopping lens but there is another way to achieve the same thing and it seems this isn't obvious because I've seen quite a few users complaining about it. So here's how to disable the shopping scopes or any scope for that matter, in Ubuntu 13.10 or 14.04, without disabling all the online search results. Update: this article was initially written for Ubuntu 13.10 but everything here was tested and it works with Ubuntu 14.04 too. SparkleShare is an open source cloud collaboration/synchronization tool that uses Git under the hood and can be used with your own Git repository or with services such as BitBucket, GitHub, Gitorious and Plan.io. Xfwm4 4.11.0 has been uploaded recently to the Xfce 4.12 PPA for (X)Ubuntu 13.10, 13.04, 12.10 and 12.04, bringing Sync to VBlank support for the Xfwm4 (Xfce's window manager) compositor, which should prevent tearing when dragging/resizing windows, media players and flash applications, etc. 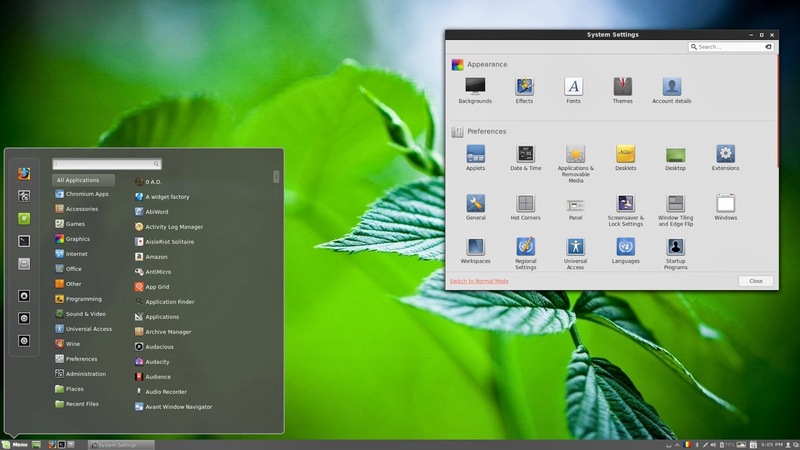 Ubuntu 14.04 LTS To Stay On GTK/GNOME 3.8? 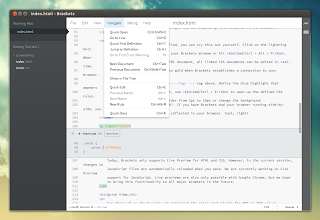 Sebastien Bacher, software engineer at Canonical, recently posted a message on the Ubuntu Desktop mailing list in which he proposes that Ubuntu stays on GTK/GNOME 3.8 for the next cycle (Ubuntu 14.04 LTS). 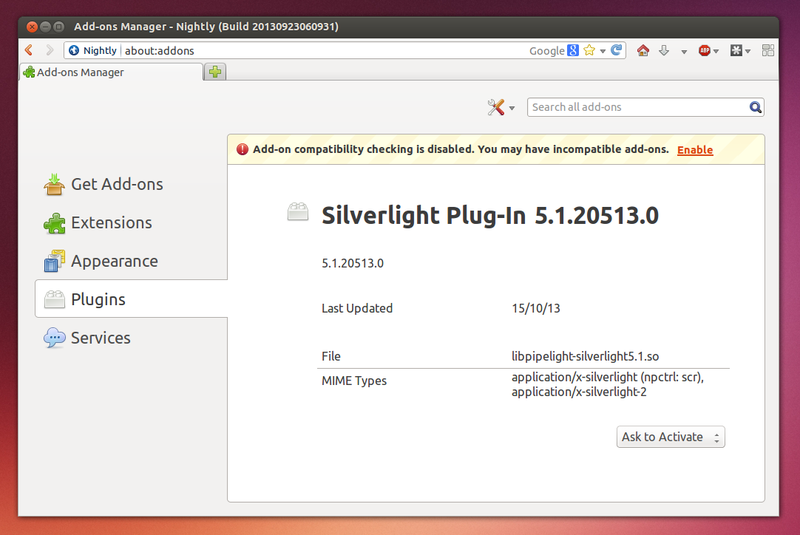 Canonical has decided not to switch to Xmir by default for Ubuntu 13.10 Saucy Salamander.